Thanksgiving! A time for family, elastic waistbands, a double order of patience, and stellar food. What better way to appreciate our blessings and show gratitude than a feast featuring the wild bounty of our oceans? After all, the pilgrims and their friends themselves probably feasted on lobsters, clams, and mussels. 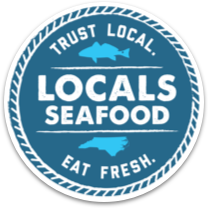 This year, embrace a new tradition and focus your Thanksgiving meal on North Carolina seafood. It’s packed with health benefits and flavor, plus it’s easy to prep. We outlined our recipe suggestions below. Zucchini-wrapped fish with butternut squash hash & pinot noir butter sauce use any firm white fish!